The average lifespan for a smartphone in the US is about 21.7 months - but where do they go? 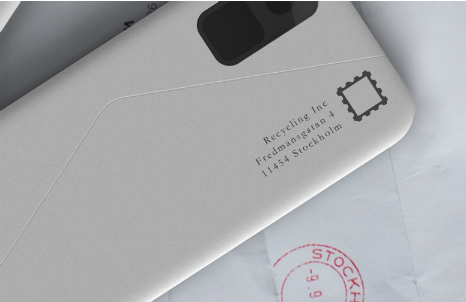 Envelope Phone incorporates pre-paid postage into its body, so when you’re done with it, drop it into a postbox and it will go back to the manufacturer for recycling. How much do you love your bedside lamp? Probably not much. But what if you'd cycled for 40 minutes to make it? Make Your Own gets its customers to work for its products, forming a lasting relationship between brand and customer. But will people want to put the effort in? Coca-Cola has launched '2nd Lives' as part of its global sustainability programme. The campaign is comprised of 16 innovative screw-on caps that transform used Coke bottles into entirely new objects – from pencil sharpeners to paint brushes to soap dispensers.